We organised a romantic display for a wedding at an English Heritage Venue for a couple who always dreamed of having fireworks to end their big day. 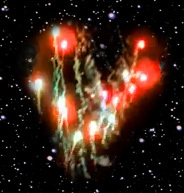 In 1996 we organised a wedding fireworks display for a young couple. 15 years later the bride has returned organising a surprise display for her brothers wedding!